This project will train an AOSCI to implement rainwater harvesting systems, water treatment technologies and sanitation strategies with the intention of supporting the center as an income generating local hub of water education and training. 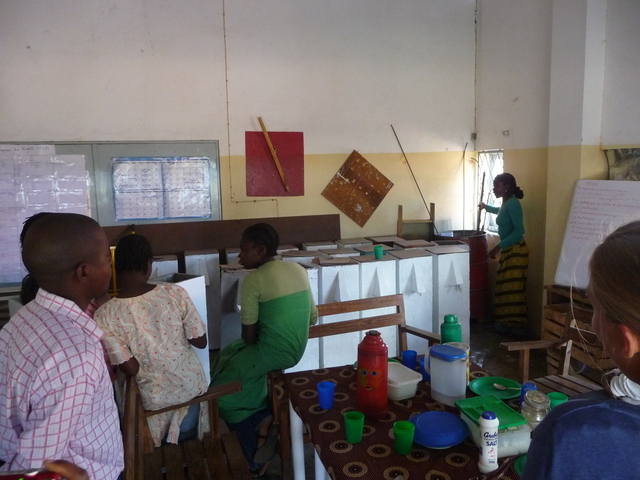 ASD spent nearly a year training and mentoring a Mozambique Orphaned Female Youth group to start a BioSand Filter microbusiness in Chimoio, Mozambique. 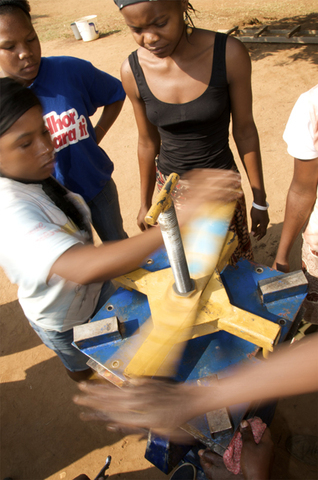 We spent a month in August 2008 teaching 5 young women to build filters and offer WASH education not only to their school, but to their surrounding communities. 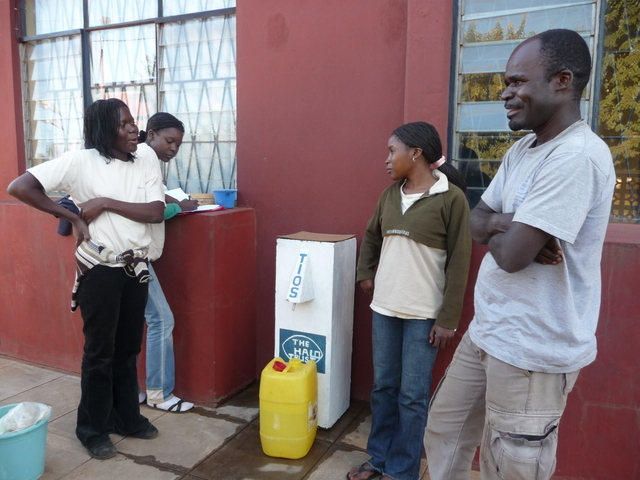 They slowly began to build and sell the filters to NGOs and households in Chimoio. By January, we realized they were having difficulty getting organized and feeling confident about marketing the filters, so we traveled again to Mozambique for a refresher training and helped them design a Pilot Project with a local NGO to install 20 filters in households over the course of 10 weeks to get them comfortable with a building, installation and follow-up routine as well as project management. 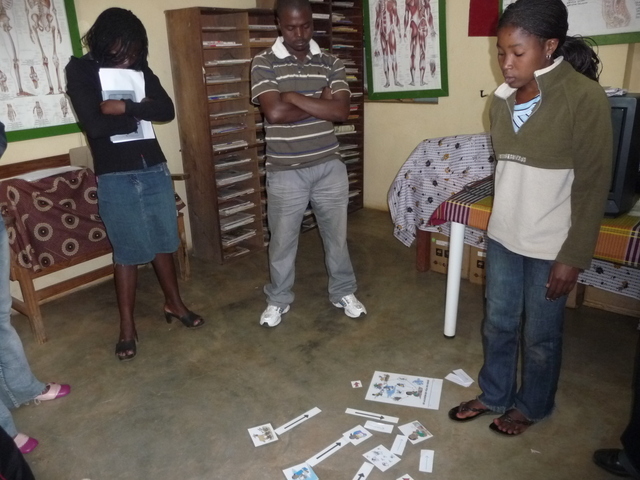 We returned again in May to evaluate the Pilot Program and to offer another training to another local NGO and had the women assist in the training to affirm their knowledge of the filter and WASH through teaching as well as build their confidence. Also, the project included a rainwater harvesting component. The original goal was to train the ladies who had learned the BioSand water filter technology in rainwater harvesting in order to strengthen their capacity to eventually create a centre for water expertise. The RWH system was originally slated to be installed at the TIOS Centre but due to the prospect of the Centre moving to a new location in the coming year it was decided to install it at a more permanent location, the Centre's farm. The farm also supports preschool classes and might someday be where the Centre’s baking operation is relocated. There are crops being planted on the farm to supplement the diets of the children who attend the preschool. 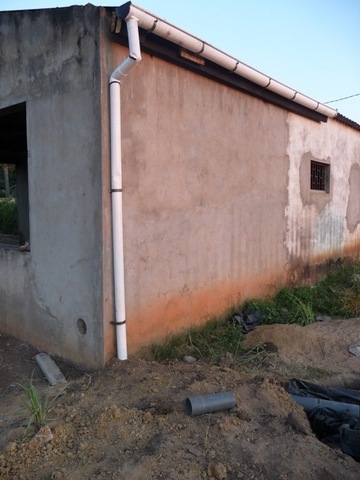 Hence, a rainwater harvesting system was installed at the TIOS farm, replacing the degraded metal sheets on the garage and installing gutters. The gutters were attached with custom made gutter clips that were fabricated at the local plastic manufacturer. The storage tank is a cistern that was dug into the ground 5 feet behind the garage. This type of storage option was chosen because local plastic tanks and the materials and skilled labor required to build a Ferro cement tank were judged to be out of budget and logistically difficult. 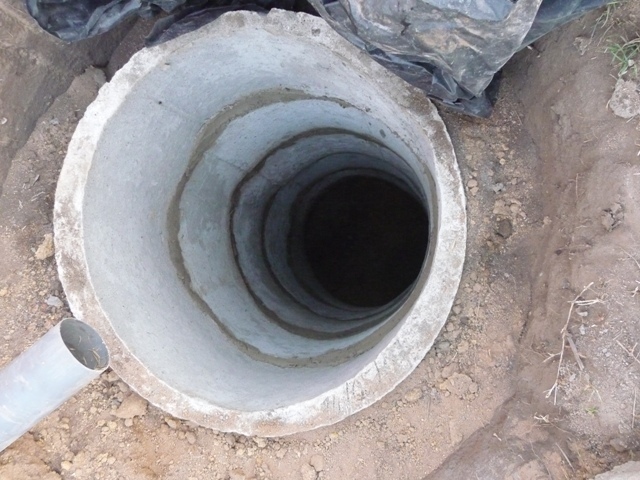 The concrete rings are available, cheap and commonly used in construction of cisterns in Chimoio. The tank will be used to supplement the farm’s well water and will serve the needs of the guards and help to irrigate the small scale vegetable garden which will serve the children who attend the preschool. The tank will hold approximately 10,000 liters of water. 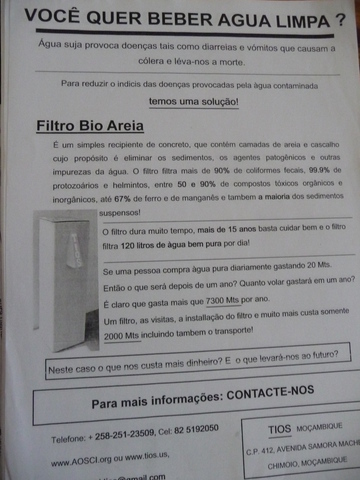 AOSCI Aids Orphan Safety Center (TIOS in Portugeuese) is currently selling the filters to people in Chimoio. Their target audiences are NGOs who are ordering in bulk to bring to their target areas. OSEO, a swiss based NGO, Halo Trust and National Council on HIV/AIDS have all purchased filters or paid for trainings offered by the women. They now have a steady supervisor who is Mozambiquan (the others were foreign volunteers) and who has the potential to provide them with the guidance and encouragement they have been lacking. We supported the women through numerous trainings and refreshers in all the technology logistics, WASH education and a Pilot Program. They have also assisted in the conducting of a BSF training to build confidence and affirm their knowledge. With supervision from the foreign volunteers, the women designed their own marketing materials, public presentations, workspace, reporting materials and bookkeeping schemes. The combination of the RWH supplying water for the Centre's farm, and the BSF micro-business, TIOS is well on it's way to having yet another income-generating activity to contribute to their sustainable vocational center for safety and livelihood. The biggest challenge we encountered was the turnover of management. The center has had a rough year with upper and volunteer management leaving or being let go, so there was no consistent supervision for the women to build their skills. The volunteers were only able to provide minimal support to the women, themselves not being well versed in the technology or its implementation, and spending quite a bit of time relying on the girls to teach them. The Pilot Project was designed to help the women self-motivate as it gave them daily tasks and a set schedule on building, installing, doing follow-up, taking inventory, making phone calls and other project management issues. We were trying to complete the implementation of the RWH at the same time conducting follow up with the BSF ladies and preparing for and conducting a BSF training for the women to assist. The original intention was to train the BSF ladies to install a RWH system but time constraints and the need to focus more on BSF project follow up and support led to the decision to hire skilled laborers to complete the job. 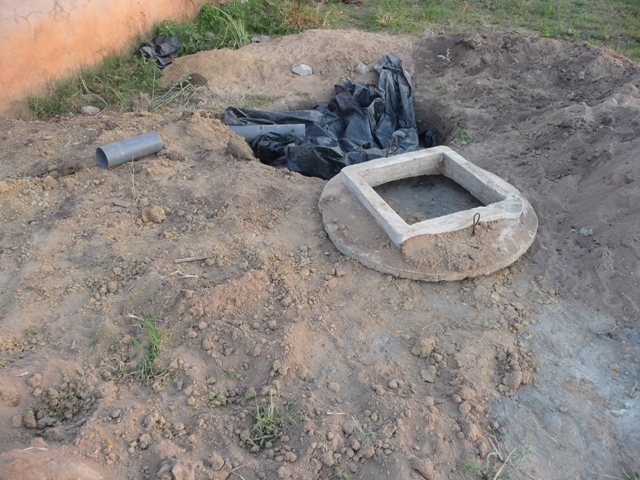 The Centre's director and the girls were however given basic training in rainwater harvesting system maintenance. Also, supplies and material shopping is always a bit of a challenge in Chimoio, especially without having experience with a particular technology implementation or locally knowledgeable people to assist. It took quite a while to locate, canvas, purchase and deliver the materials. Lastly, the original location selected for the RWH system at the farm was the farmhouse. 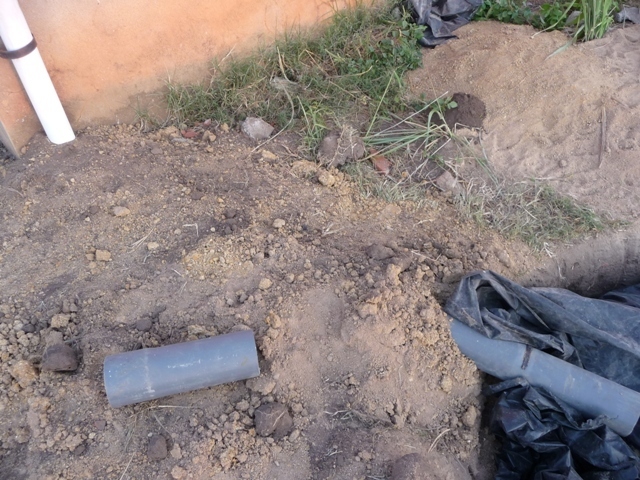 The roof tiles are asbestos so it was decided to find a different surface to collect rain water. We found that the women needed more supervision than was available at TIOS. One way we kept them on task and motivated was by asking them for weekly reports really which encouraged them to feel a sense of accomplishment and well-organized. Also, the women needed more focused and attentive supervision and guidance because they had no experience in having their own business and were very used to be being told what to do. Foreign volunteers as supervisors had difficulties for a few reasons 1) the language and cultural barrier; 2) the finite commitment; 3) and the lack of support from upper management. 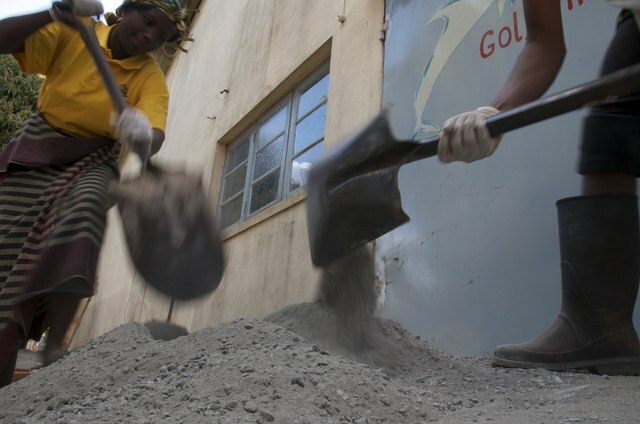 When we first planned the project, ASD felt there was solid upper management support to move forward, but TIOS had a very challenging year losing its Mozambiquan ED and the foreign Founder having other commitment outside of the country. So, much of the responsibility was left upon the foreign volunteers. We realized how difficult it is to identify and provide effective support to the trainees and volunteers from a distance, especially when advising on hands on technical components of the project. Their real needs and the reality of the situation on the ground was difficult to communicate via email and phone calls. This has finally been remedied by TIOS finally having the capacity to hire a responsible local person to supervise and mentor the women. AOSCI is a training center for young orphans and youth. They have a sewing program for their HIV/AIDS training using anatomically correct dolls that they designed, safety, self-defense and health training, a bakery and a computer training program. 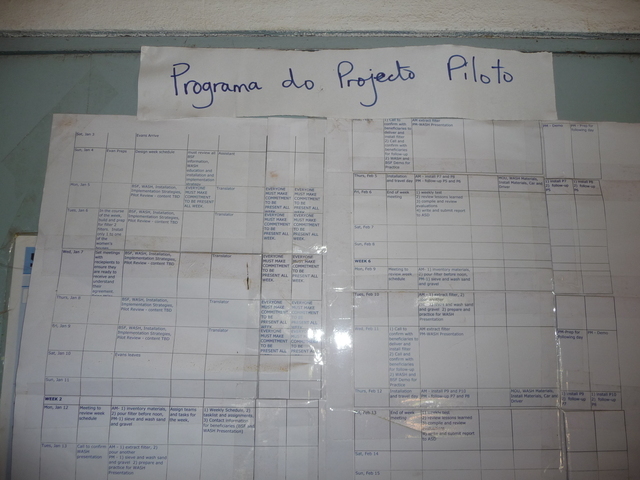 Offering community solutions for clean water and proper WASH practices fits perfectly into their program of providing the youth of Chimoio the chance to learn basic life skills for safety and survival.